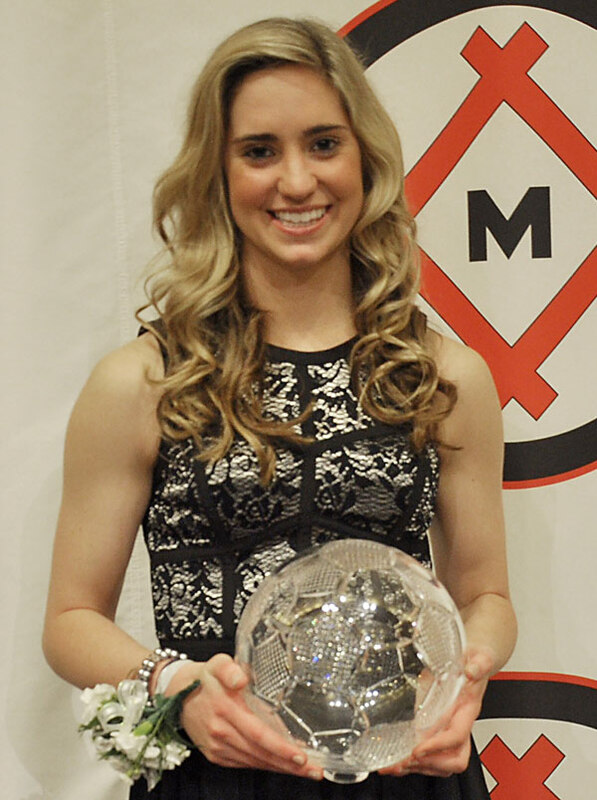 Virginia junior midfielder Morgan Brian (St. Simons Island, Ga.) was announced tonight as the 2013 winner of the Missouri Athletic Club's Hermann Trophy. Brian becomes the first person in Cavalier history to win the award on the women's side. The Missouri Athletic Club's (MAC) Hermann Trophy is presented to the best female and male players in NCAA Division I soccer. The winners were decided by a vote of NCAA Division I soccer coaches that are current members of the National Soccer Coaches Association of America (NSCAA), along with a weighted fan vote hosted at the MAC's website hosted by LockerDome. Winning the women's MAC Hermann Trophy caps Brian's stellar 2013 campaign. She finished the season as the ACC's leading scorer with 46 points on 16 goals and a conference-best 14 assists. She also made Cavalier history by setting the single-season record in assists.